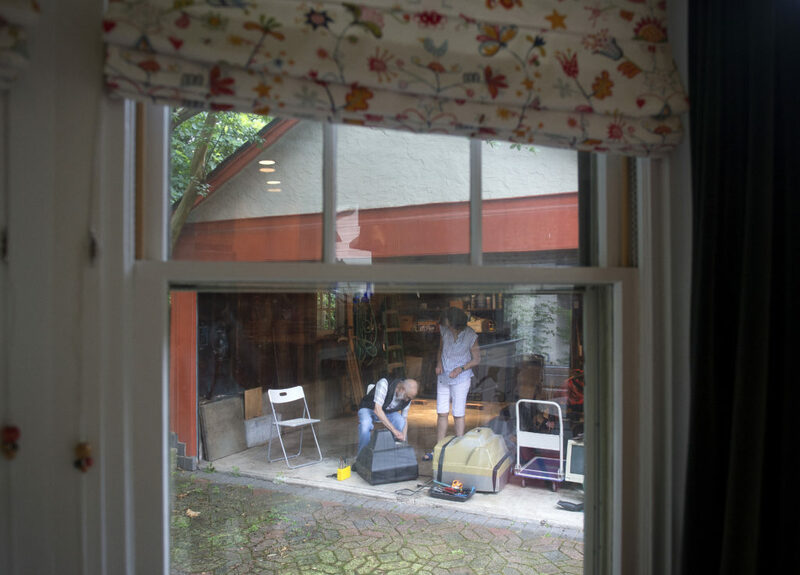 On a rainy Tuesday, Carl Duzen pulls open the garage door to his Havertown home as his wife, Susan Jewett, watches from the dry kitchen. 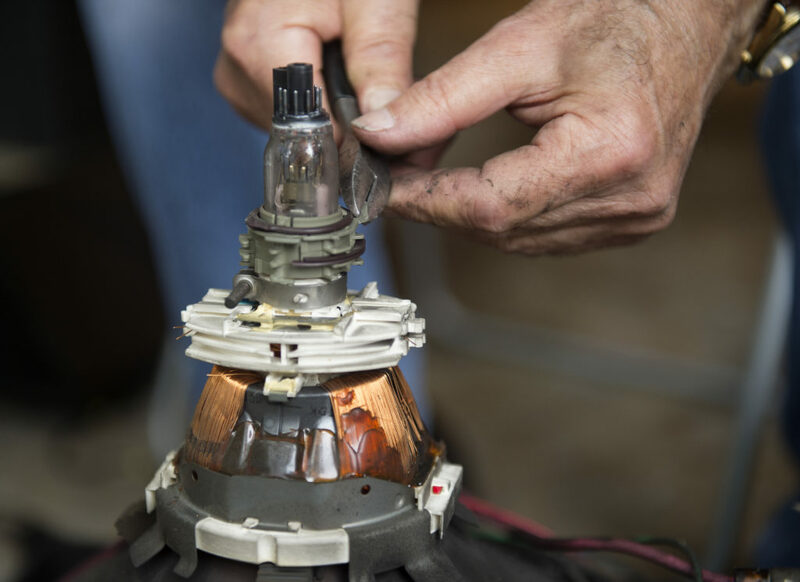 The TV, one of those old cathode ray tube sets, was long ago considered obsolete by a neighbor, but Carl sees something valuable, beautiful in the discarded piece of old technology. 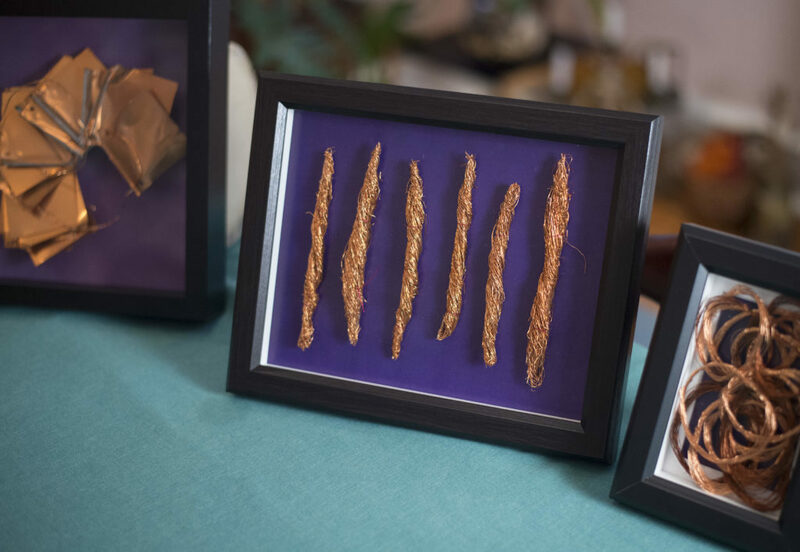 A scientist by training, Carl has taken to alchemy in the last two years, turning what others call junk into works of art. Carl, who turns 81 this August, was diagnosed with Alzheimer’s disease during a 2014 visit with neurologist David Wolk at the Penn Memory Center. He searched for a coping mechanism and found one in the basement workshop. 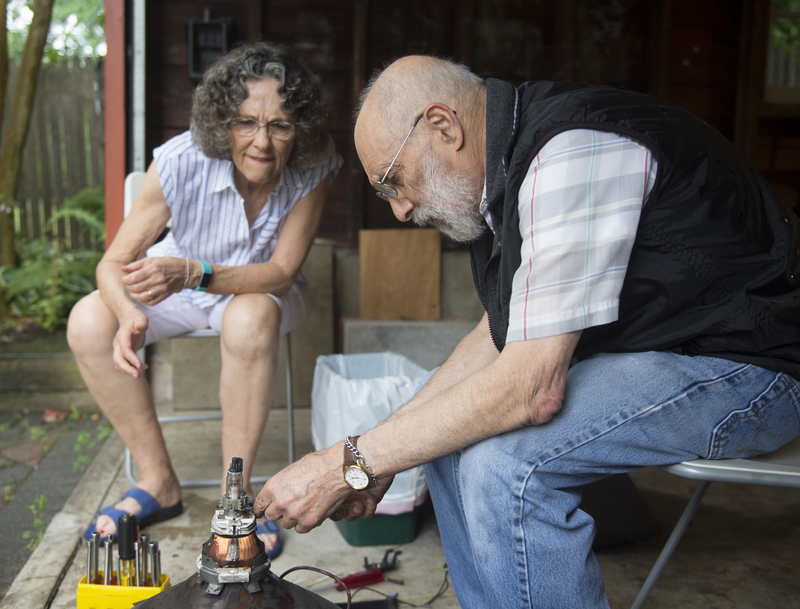 Susan, 70, an artist and former art educator, was impressed by how Carl dealt with the diagnosis right away, saying that he continues to find ways to challenge his mind while also being pleasing activities to him. Once Carl developed a routine taking apart TVs, Susan began recruiting friends and neighbors to search garages and basements for old electronics. They began piling up, as did supplies. Wandering through Carl’s basement workshop one day, Susan noticed six bundles of cut copper wire arranged neatly in a row, Carl’s organization strategy. 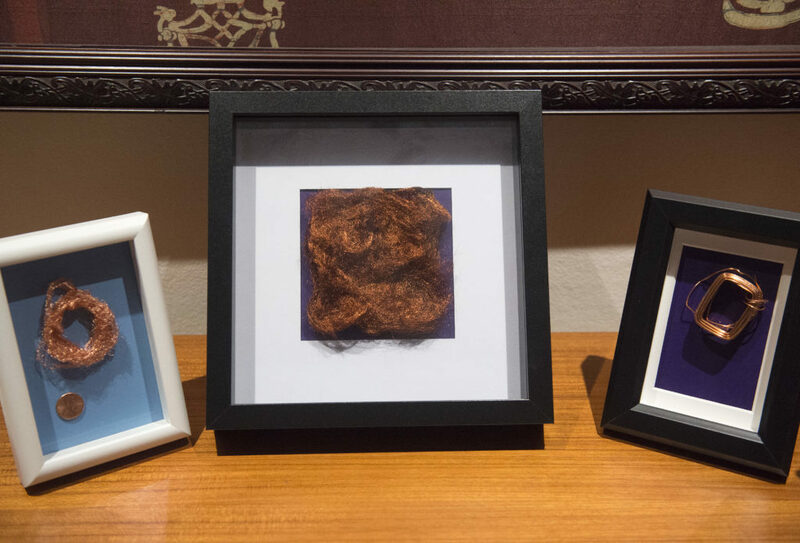 Those first few bundles are proudly on display in their home, along with much of Susan’s art created over the years. As individual works, they would have made for a conversation starter for guests. But Carl, quickly understanding his wife’s vision, continued to bring in various forms of copper up from the basement or in from the garage. The two found the introspection of the art unique and inspiring, and so they began making plans to share it with the public. 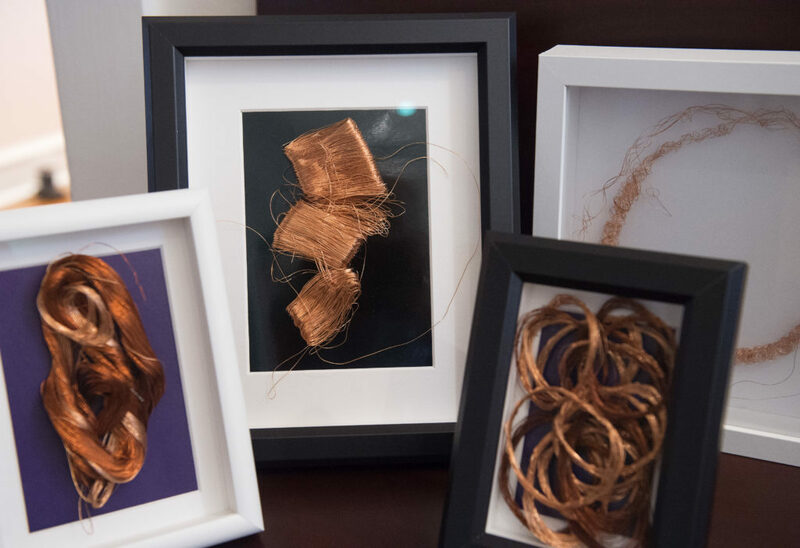 A gallery exhibition entitled, “Carl Duzen: Copper // Denying Dementia Its Due,” was held at the Main Line Art Center in Haverford. Carl and Susan are also the subjects of an upcoming documentary by independent filmmaker Mike Attie in partnership with Teya Sepinuck, founder and artistic director of Theater of Witness. Chloe Elmer was a Penn Memory Center communications intern in 2017. She is now a freelance photographer. Her work can be found at www.chloeelmer.com. 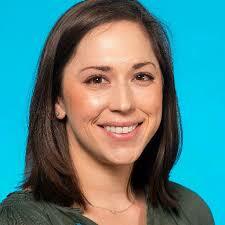 Chloe Elmer was a Making Sense of Alzheimer’s editorial assistant in 2017. See more of her work at http://www.chloeelmer.com/. By creating imaginary worlds, I am allowing myself to escape to more distant lands. Rob Floyd has painted his grandmother, whom he fondly refers to as Gran, many times over the years.